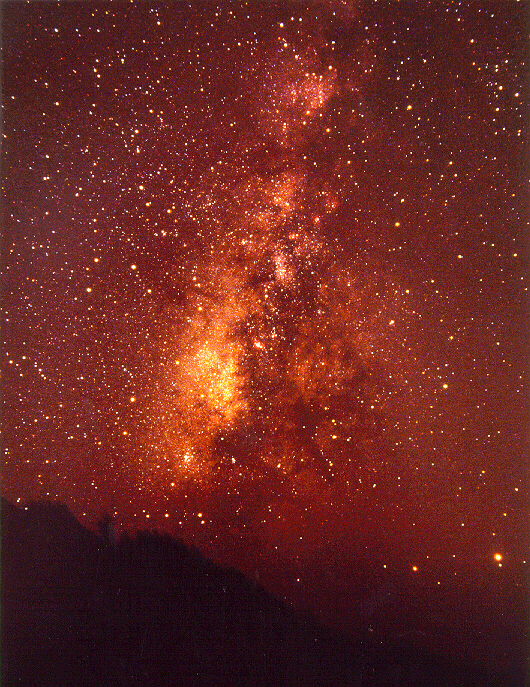 Description: Milky Way in Sagitarius as seen from La Palma. 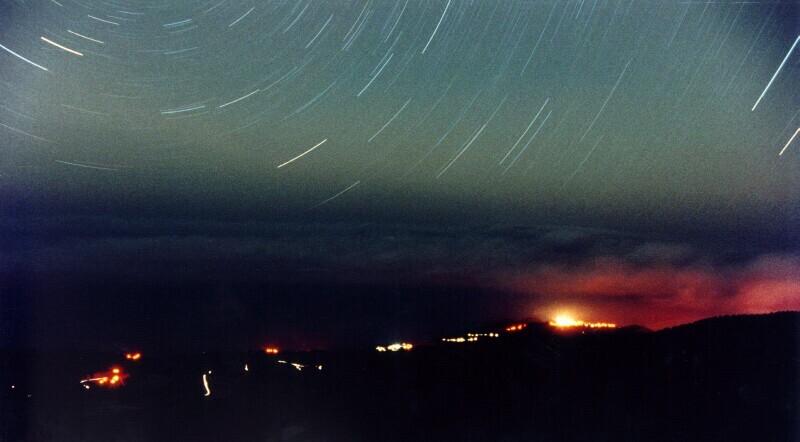 The Sky above La Palma is protected by a Spanish law. Thanks to this law, the most polluting village, Barlovento, has new public lights and the influence on the astronomical observations is very low. Three different lamps are often used as public lights. 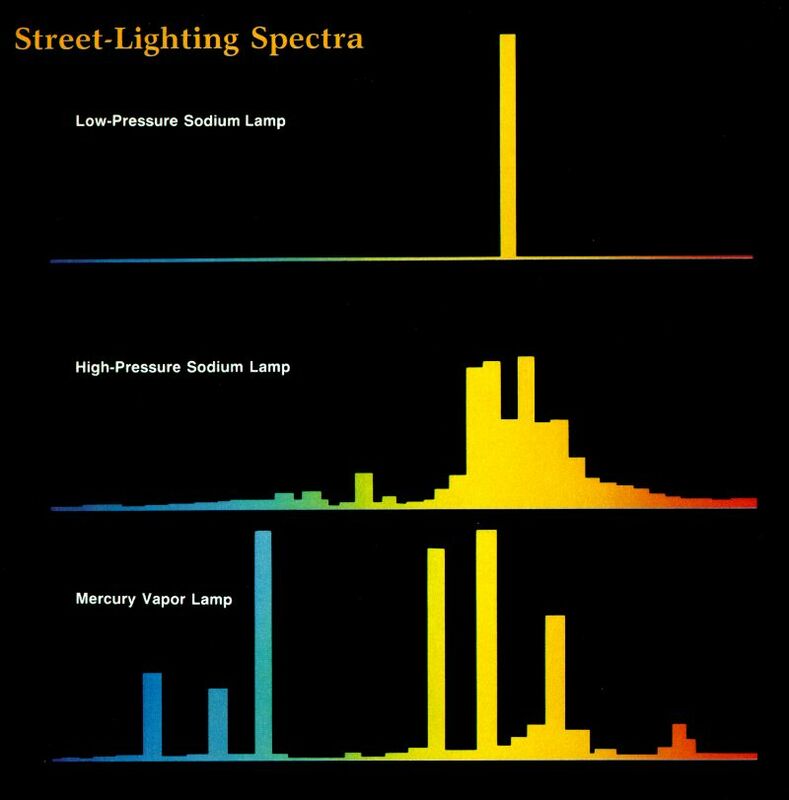 The ones in use on La Palma are low-pressure sodium lamps which have very few spectral lines: JPEG (43 K) | TIFF (1,034 K). Technical information: This picture was taken using amateur equipment. Description: Nowadays the number of artificial satellites which populate our skies is very high. This picture is a good example. 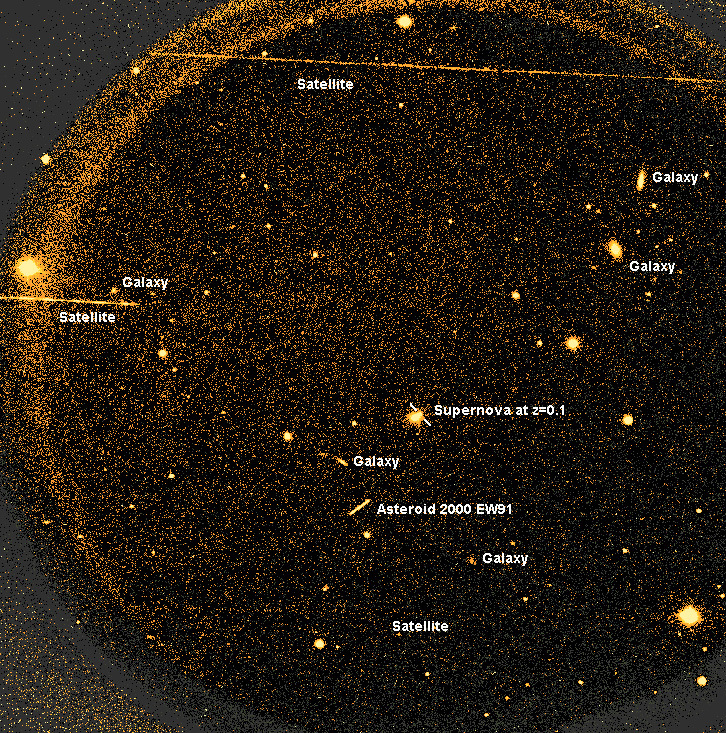 At least 3 satellites are visible (field of view is 8 arcminutes and the position was 4 degrees away from the celestial equator). Technical information: 30 minute exposure in filter Sloan Gunn g'. 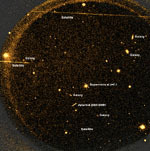 Jacobus Kapteyn Telescope, using a CCD camera. Available formats: [ JPEG (835 K) | TIFF (233 K) ]. Description: Public lights from the observatory before the Sky Law. 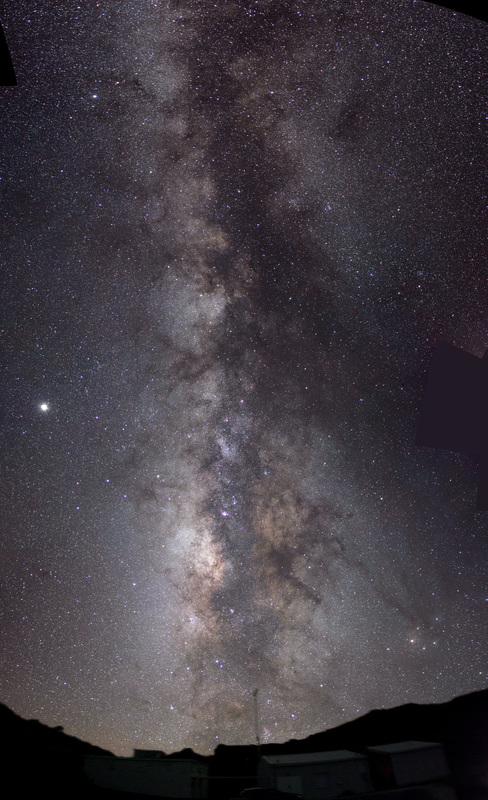 Description: The Milky Way from the Carlsberg Meridian Telescope.